Begum Hazrat Mahal (c. 1820 – 7 April 1879), the second wife of Nawab Wajid Ali Shah. Wajid Ali Shah played no less role during the 1857 Indian rebellion than other rulers and both the begum of Awadh, as she was commonly called, along with Rani Jhansi Lakshmi Bhai hogged the limelight in the Indian history of early freedom movements. These women were not only highly spirited, but also were courageous and fought against the British forces though the odds were against them. This great uprising of 1957 and 1958 finally led to the control of Indian subcontinent under the direct administration of the British Government, London. 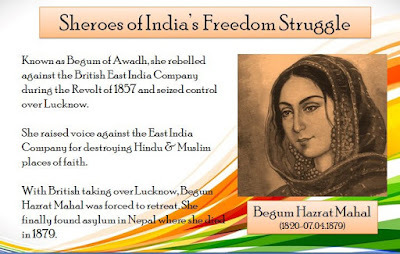 Begum Hazrat, not deterred by her husband's exile during the rebellion found asylum in Nepal where she died in 1879. Upon her husband's exile in Calcutta by the EIC's military, with firm determination and support from her people, she revolted against the oppressive English company rule. Her courage and guts were rare among the women in those days in a men-dominated world. Her firm resolve to save Awadh was unprecedented and she put in as much efforts as she could recapture the kingdom from the English company by taking the role of her son's regent. She ran the affairs of the kingdom effectively and at the same time organized a well-trained army of women under Uda Devi as its commander. She opposed the tricky Doctrine of Lapse introduced by wily Lord Dalhousie who expected her to surrender to the English company. She fought tooth and nail against the mighty British forces and, at the last moment, before the fall of Lucknow, the seat of power, she fled to Kathmandu, Nepal. She put her son, Prince Birjis Qadr, the Wali (ruler) of Awadh in charge and his military commander being Raja Jai Lal Singh. But, later she gave it up for certain practical reasons. 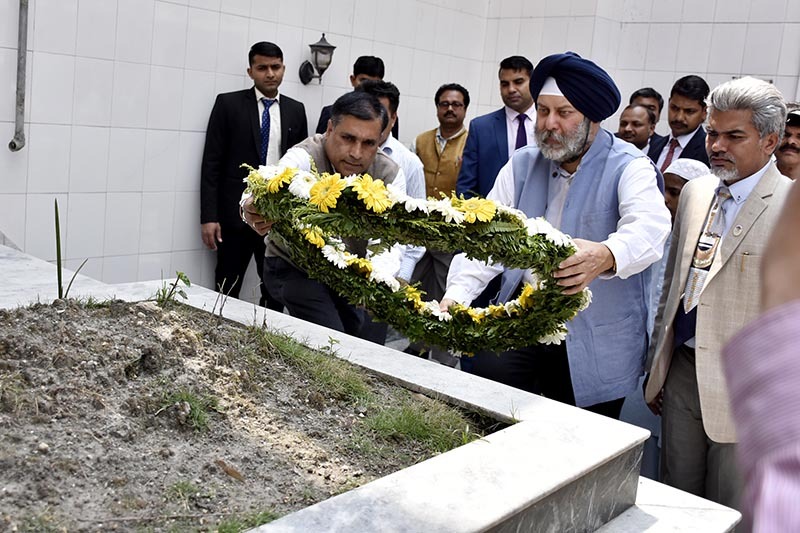 It was on March 6, 1858, led by the British Commander-in-Chief, Colin Campbell, thousands of British troops – English, Scottish, Sikh, Bengali and even Nepali – began the final assault of the ancient city of Lucknow. 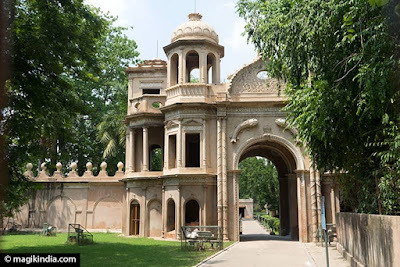 Already, Cawnpoor and Delhi were seized from the rebels and the same situation prevailed at Jhansi and Gwalior where the British forces with support from contingent troops had an upper hand. By 21 March 1958, it was over for the Awadh kingdom. Thanks to the efforts of "Pasi respondents who first documented the story of Begum Hazrat Mahal in print in the 1971 Census records. For unknown reasons, the name of Uda Devi was left out, however during the peak of Indian rebellion, it was a Pasi Palton (a platoon of Pasis) who rescued Begum Hazrat Mahal from imprisonment by the British (Census of India 1971: 2). The story of Uda Devi came to be known and placed on record in the later period. In 1990, the Virangana Uda Devi Smarak Sansthan." was formed in memory of the great woman who was behind Hazrat Mahal's solitary fight against the dishonest EIC army. She was quite appalled by the demolition of Mosques and temples by the English company to build new roads, etc and she told them that their equal treatment of other religions was mere farce and were not sincere in their approach towards other religious faiths. 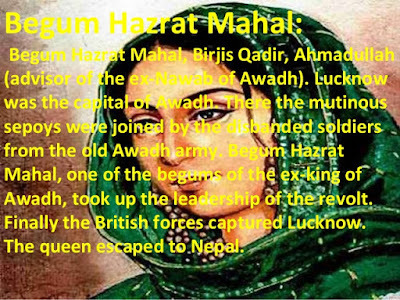 As for Hazrat Mahal, she was a courtesan by profession and was part of the royal harem of Awadh rulers. 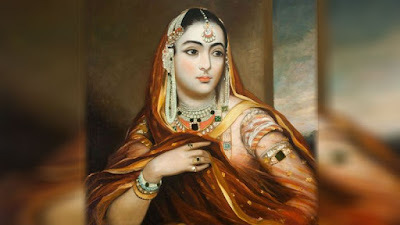 Being smart and intelligent, she won the heart of the ruler and became the junior queen of Awadh (wife of last Tajdaar-e-Awadh) and the title 'Hazrat Mahal' was bestowed on her after the birth of their son, Birjis Qadra. It was in 1856 the EIC, a proxy government that ran the Indian subcontinent for the British Crown, annexed Awadh under the pretext of poor administration by Wajid Ali Shah. a true alley of the British; the latter proved that they were untrustworthy and responsible for the down fall of a rich kingdom - Awadh. The same story was repeated across India and the Indian natives' abomination for the cunning EIC operations had begun to boil and later overflowed in form a powerful rebellion the British Empire never saw before. Incidentally, a major part of present state of UP was under the kingdom of Awadh. Hazrat Mahal worked closely with Nana Saheb, another ruler and freedom fighter against the British forces, but later joined the Maulavi of Faizabad in the attack on Shahjahanpur. When she moved over to Nepal to escape being caught by the English company, the Prime Minister Rana Jang Bahadur, due to reprisal by the English, denied her permission. However, later gave her asylum in 1859. 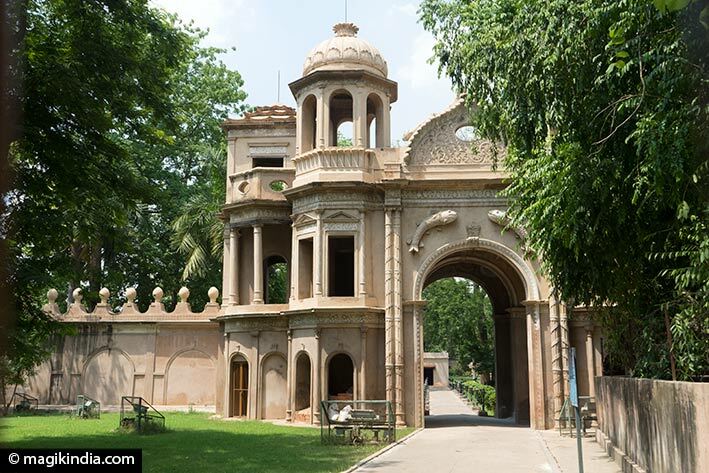 It is said that Rana was given a huge amount of jewellery by the Begum and her son, in exchange for which the former had given her Thapathali palace. 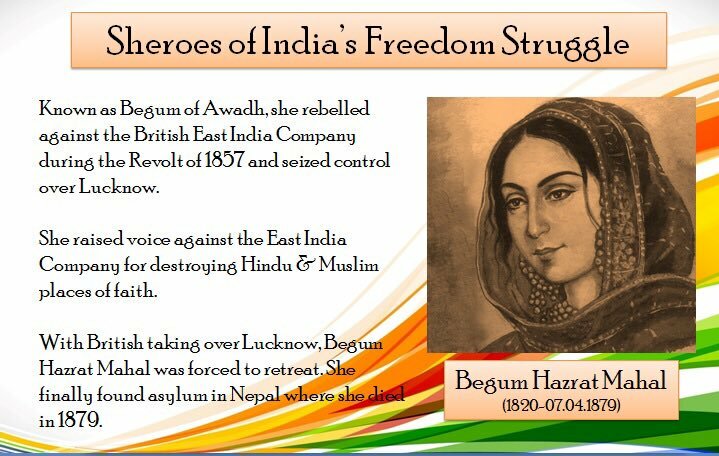 Subsequently, while her son Birjis Qadar chose to go back to his father in Calcutta after Queen Elizabeth granted amnesty to the family on the occasion of the jubilee of Queen Victoria (1887), Begam Mahal chose to stay in Nepal and died after 30 years in 1879. Had India become a free country by then, perhaps Hazrat Mahal would have landed in Lucknow to lead her country. Unfortunately, it never happened until August, 1947. Next month on 18 April 2019 Mahal's 140th death anniversary will be coming up at Jame Masjid, Kathmandu. .